A heart attack survivor may have a damaged heart that affects the heart rhythm, pumping action and blood circulation. This puts heart attack victims at greater risk of having another heart attack or other events such as a stroke, kidney problems and peripheral arterial problems. Cardiac rehabilitation is recommended usually for heart attack survivors after the emergency event is stabilized. Cardiac rehabilitation guides the patient to make changes that help improve cardiovascular fitness and quality of life. These changes include dietary changes, physical activity, smoking cessation and other ways such as medication schedules and stress management. Heart attack survivors should seek their doctor's advice about daily activities such as returning to work, driving, physical and sexual activity and air travel. This book is useful for scholars and researchers, doctors, extension workers, home scientists and all human beings. 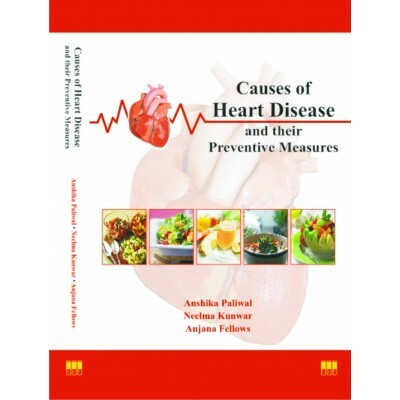 The book lists signs of heart disease and tips for prevention. In the second part useful recipes have been given alongwith their preparation methods.